If you’re looking for a downtown Charleston home located near neighborhood restaurants and parks, take a look at 131 Darlington Ave. 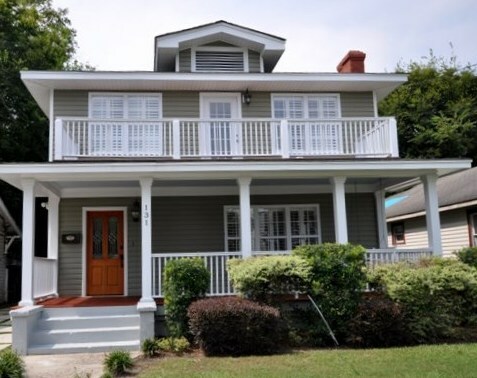 Sitting in the heart of Wagener Terrace, this renovated 1930’s home mixes classic charm with modern functionality and is within walking distance to neighborhood spots including Rutledge Cab Company, Hampton Park and the Corinne Jones playground. Another beauty of living downtown is that other parts of the city—including shops and restaurants along King Street, museums, the Battery and more—are well within biking distance. 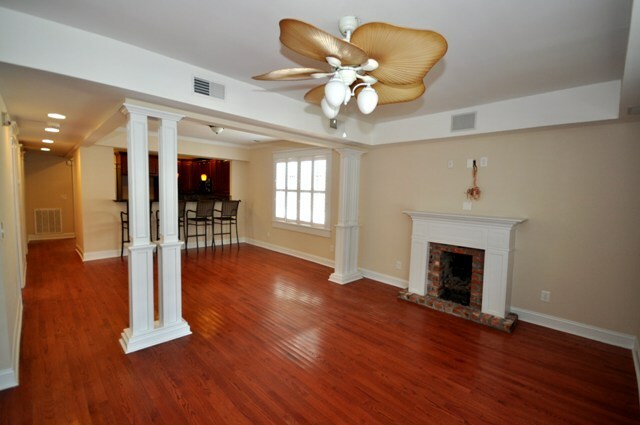 The interior of 131 Darlington Ave has been completely updated and has all of the modern features you desire. Gleaming hardwood floors run throughout the almost the entire home and crown molding, large windows and recessed lighting accentuate the living spaces. The first floor has an incredibly open concept with a large living room, defined dining area and enviable kitchen complete with granite counters, rich cabinets and stainless steel appliances. 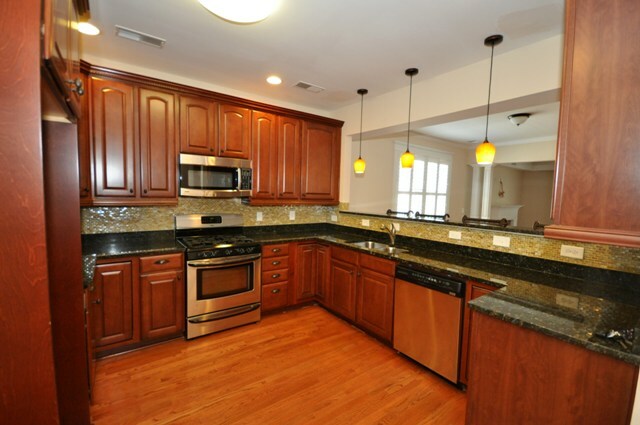 There is also a walk-in pantry and adjoining laundry room—an added bonus in a home of this age! One of the home’s four bedrooms is located on the first floor—making it convenient for a guest room or office. The other three bedrooms are located upstairs including the expansive master suite. This retreat has a defined sitting room (with a fireplace and built-in bookshelves), a large bedroom, a walk-in closet with custom storage and a contemporary master bathroom with tile flooring, a jetted tub and separate shower. The other two bedrooms are great for guest or kid’s rooms and they share a Jack and Jill style updated full bath. There is also a front-facing library with built-in bookshelves which makes a great study area! Another bonus of the home is the abundant outdoor living spaces. A full front porch adds character and charm to the façade, while a private backyard is a great place to enjoy the warm Charleston weather. A covered carport provides protection from the elements and there is also a screen porch off the kitchen! A second-story deck is located off the master suite and is another great place to enjoy a morning cup of coffee while watching the activity on Darlington Street! There are so many wonderful features in this home—you just have to see it for yourself! Be sure to contact Carter Rowson to learn more or to set up a showing!